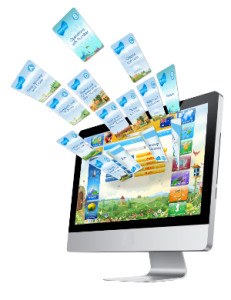 Continue using the power of Mathletics, offline. Mathletics printed workbooks are an offline extension of the activities found within the online Mathletics program. Written by the same award-winning team that created the online Mathletics, teachers can use these series of printed exercises with their primary school students when they are not using Mathletics online. Sequentially develops core skills through to activities requiring deeper mathematical thinking. Exercises developed on evidence-based research. Clearly modelled and structured to enable students to understand and master key skills. Activities provide problem solving and reasoning skill development through open ended questions and intriguing problems. Save time and costs of downloading, printing and collating a variety of worksheets to support Mathletics exercises.